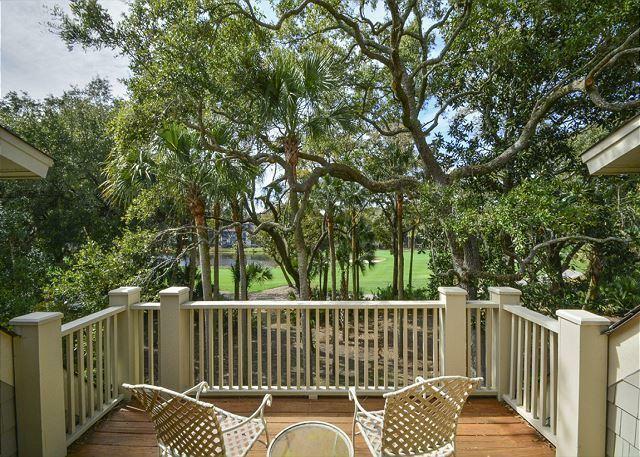 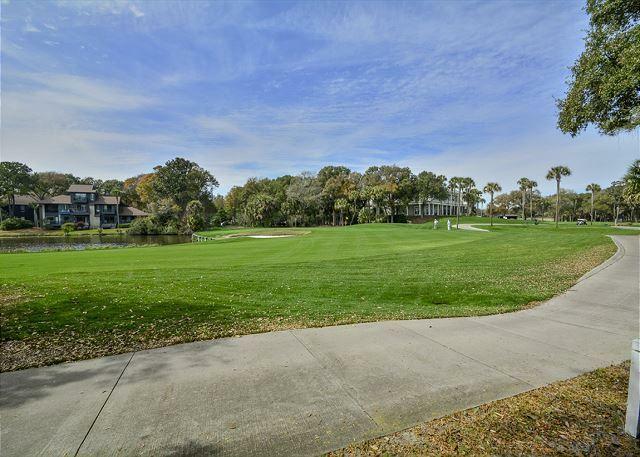 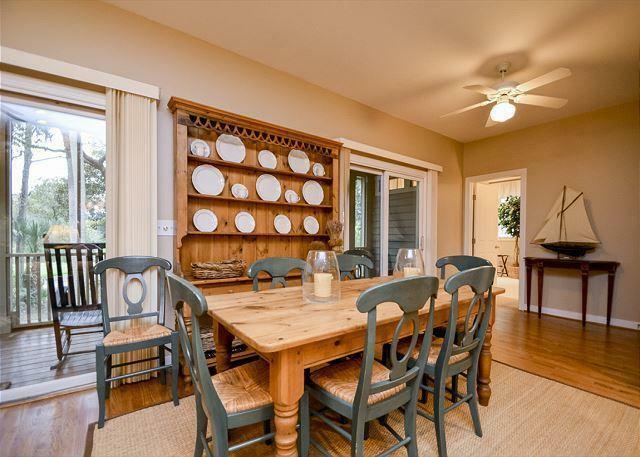 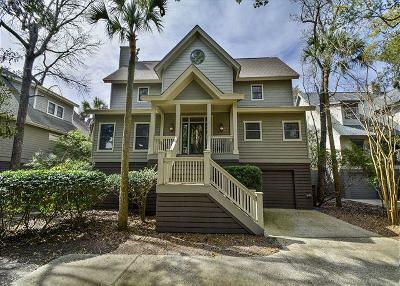 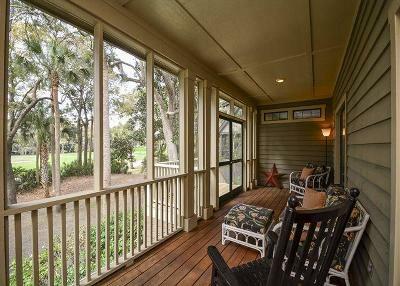 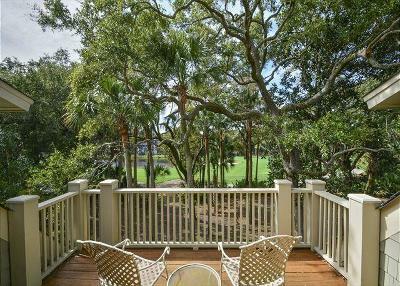 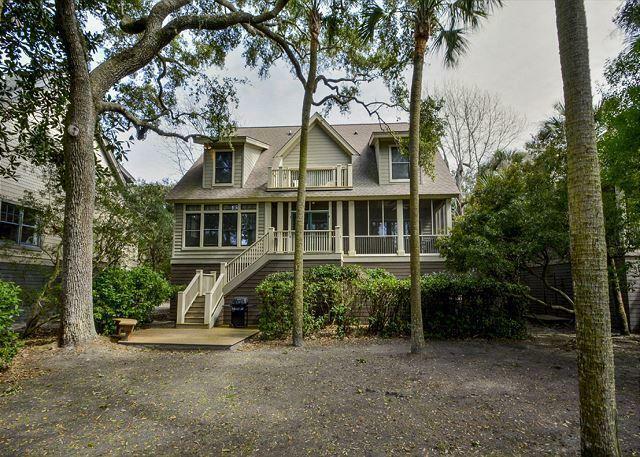 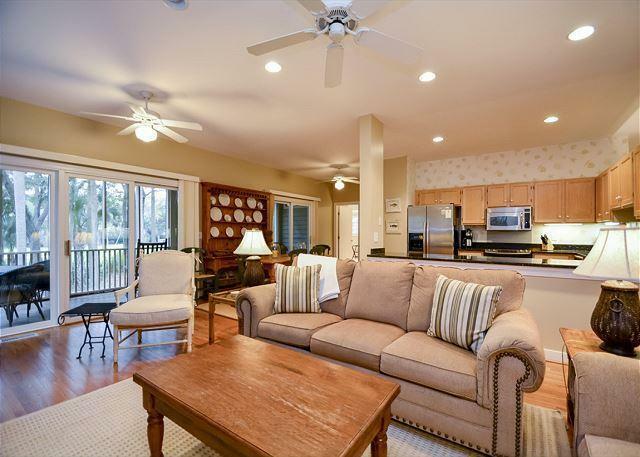 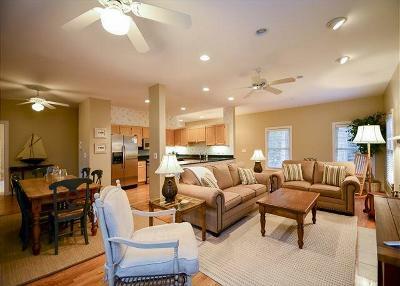 This Kiawah Island vacation rental offers 4 bedrooms, an open main floor, screened porch and patio, and views of Turtle Point&apos;s 18th hole. 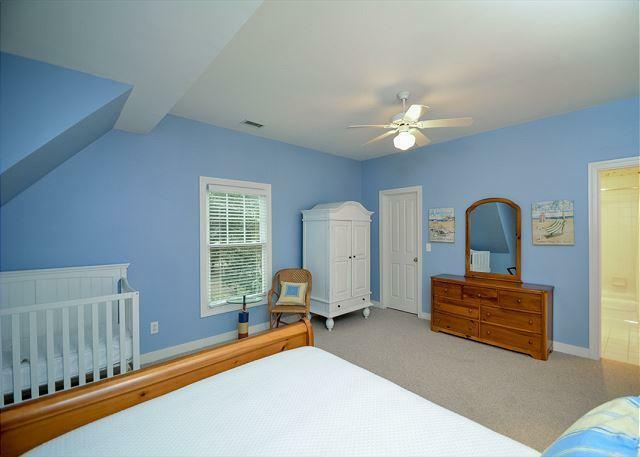 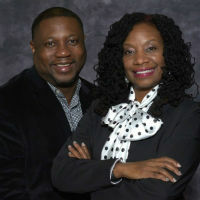 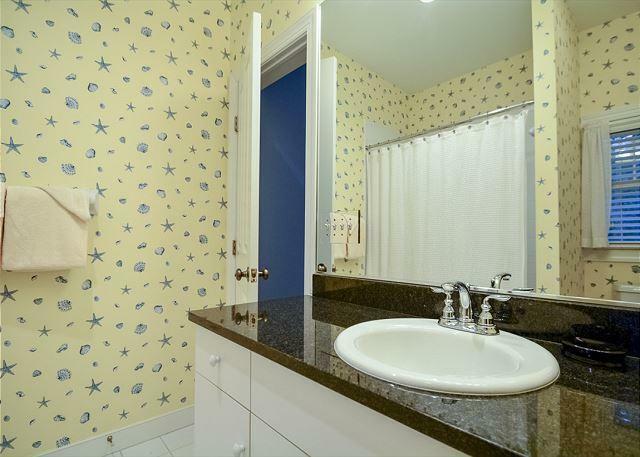 The home is located across the street from the Ocean Green seasonal community pool and is a 7 minute walk to the beach. 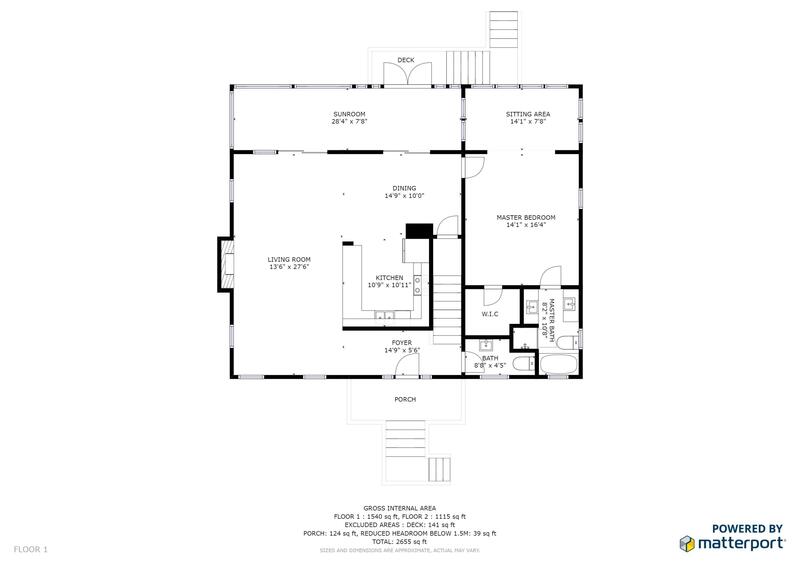 The main floor offers an open floor plan with living room, kitchen, and dining area. 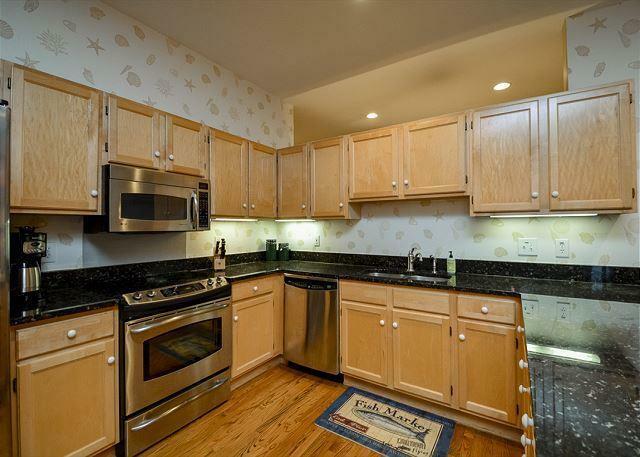 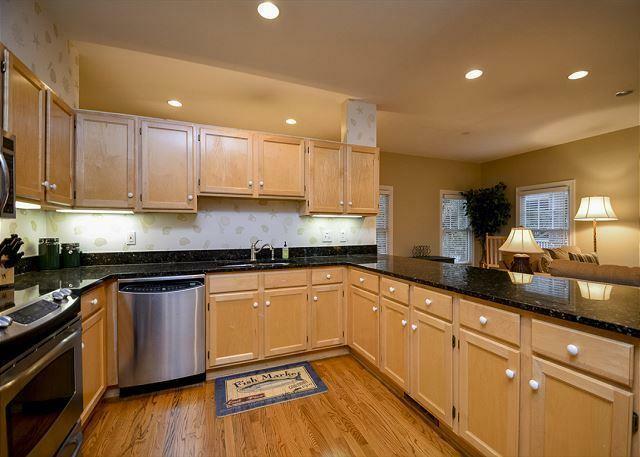 The kitchen is highlighted by granite countertops and stainless steel appliances. 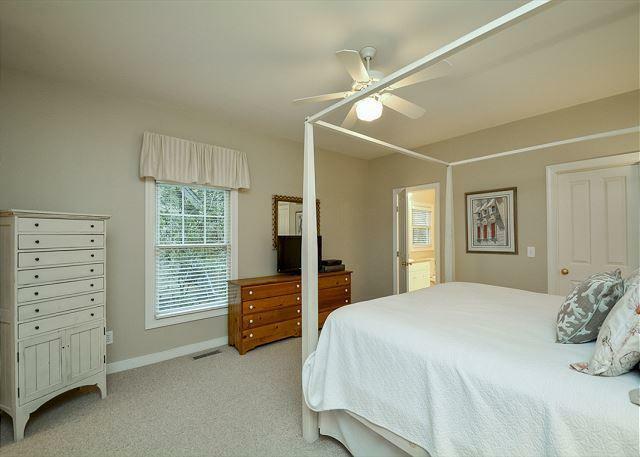 The golf view master suite features a king bed, sitting area, TV and DVD/VCR player, and private bathroom with 2 sinks, bathtub, and shower. 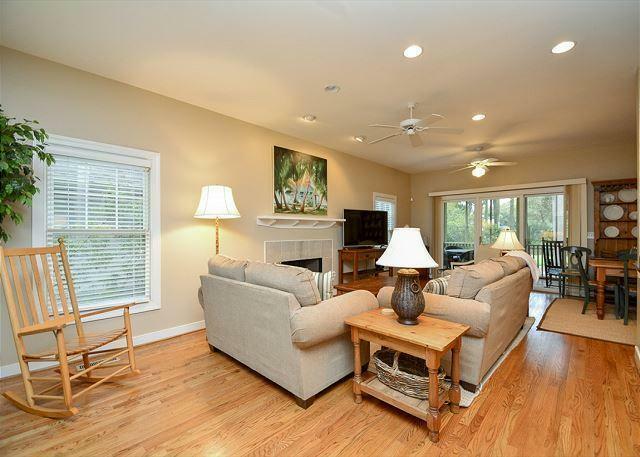 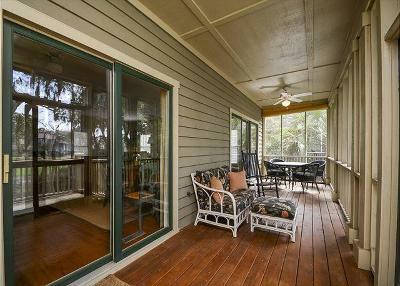 The main floor screened porch provides access to the patio with grill. 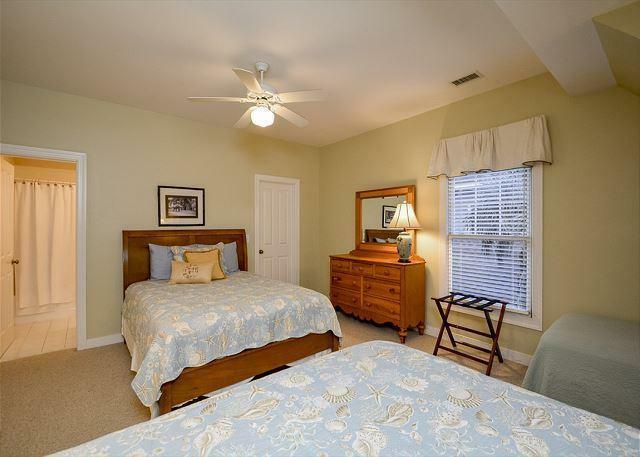 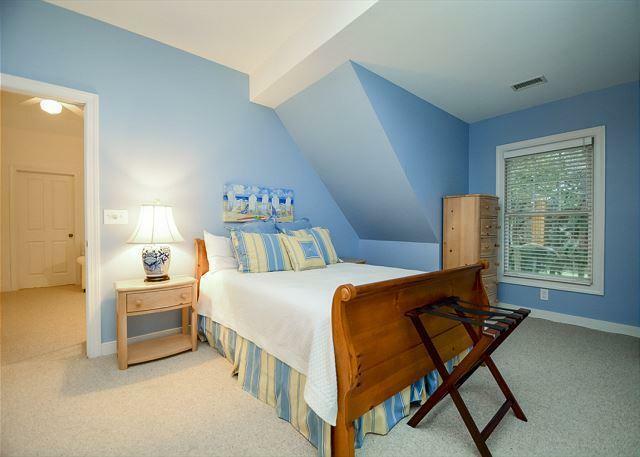 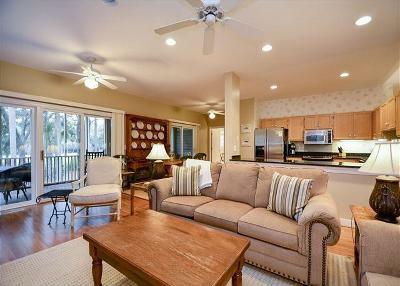 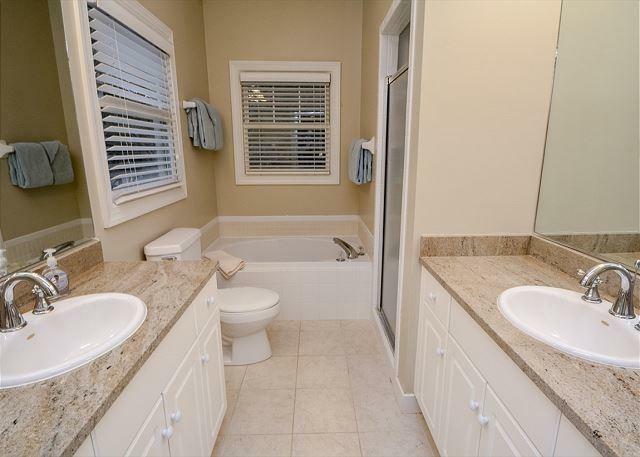 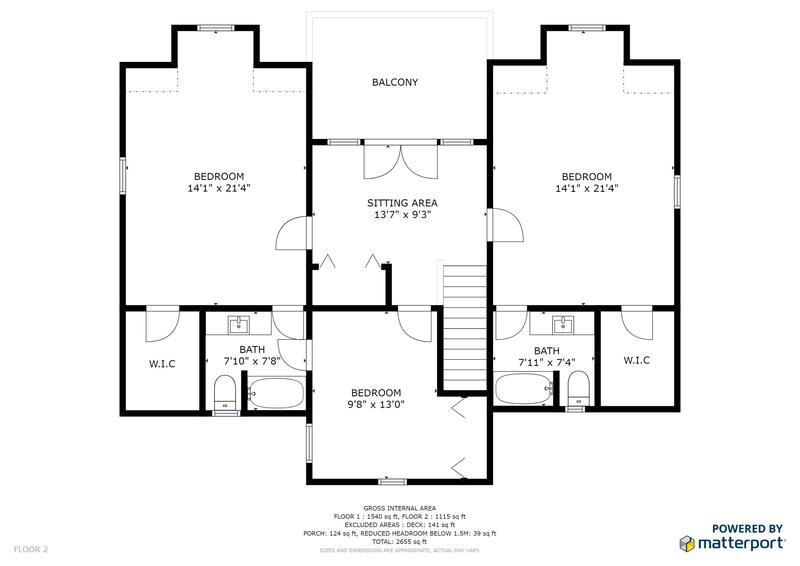 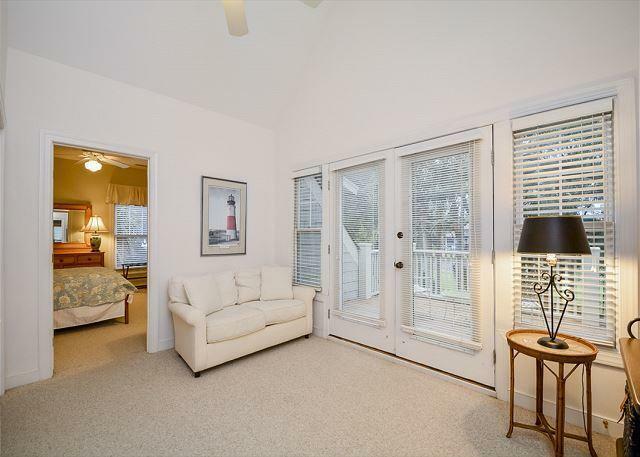 The second floor hosts 3 bedrooms, 2 bathrooms, and a cozy sitting area with deck access. 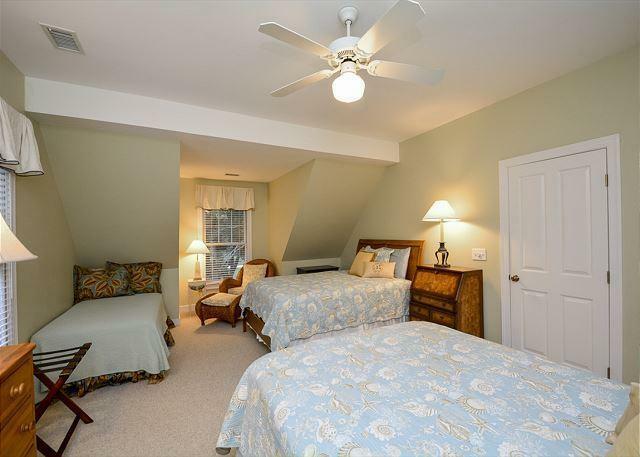 The bedroom on the right offers a queen bed, side chair, and private bathroom with shower/tub combo. 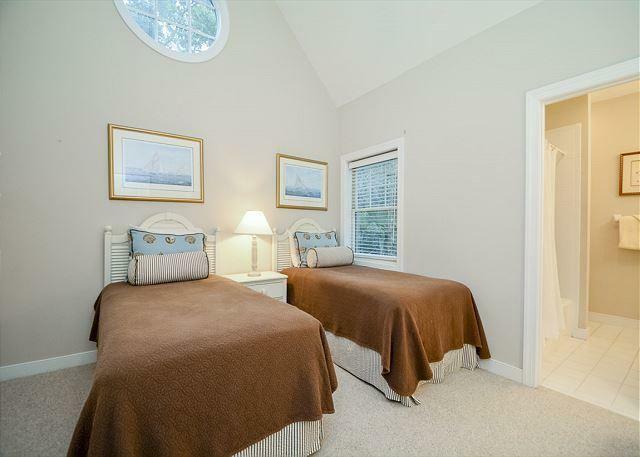 The bedroom on the left offers two queen beds, twin bed, and cozy reading nook and shares a bathroom with shower/tub combo. 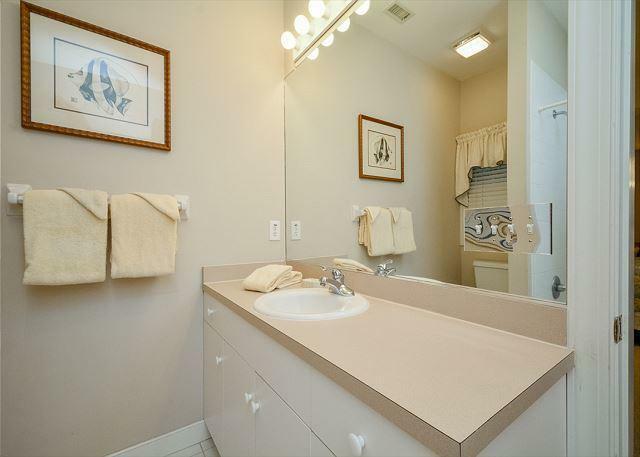 Sharing that bathroom is the middle bedroom which features two twin beds. 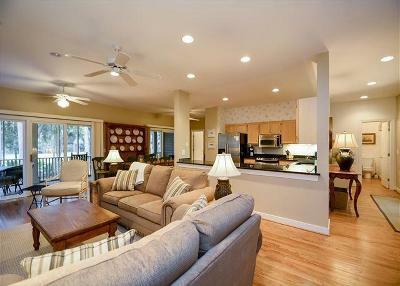 Sold furnished with a few personal exclusions.